Last weekend I mentioned we went to Columbus, Mississippi to have dinner after visiting the pumpkin patch. 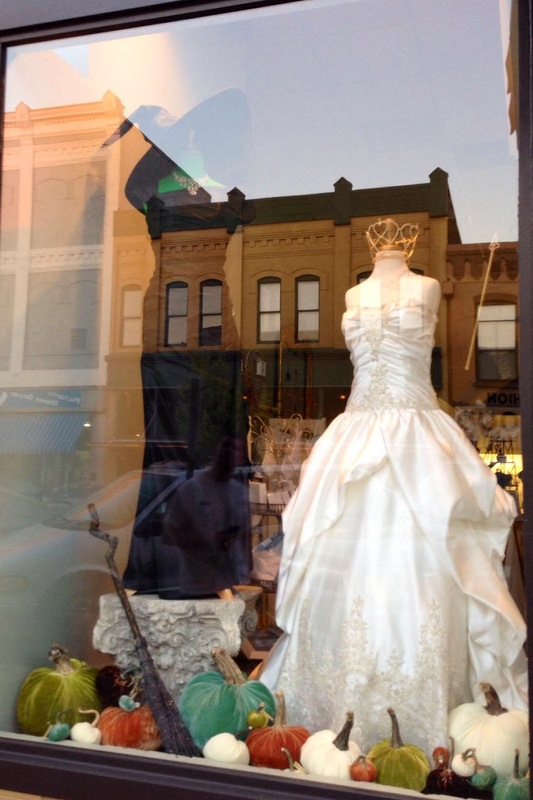 We parked right in front of The Bride and Groom bridal shop and they had one of the coolest window displays I have seen in a while. I think this display is so very creative of showcasing their product and is whimsical for passersby to enjoy as they take a stroll down 5th Street. They used a classic American movie as a reference, The Wizard of Oz. 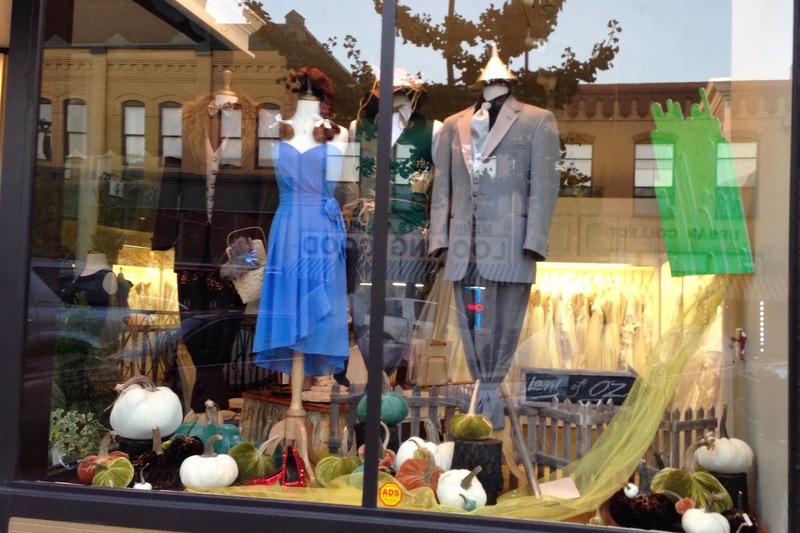 The window display featured all of your favorite characters Dorothy(with Toto, of course), Lion, Scarecrow, Tin Man, Glenda the Good Witch and even had the Wicked Witch of the West!! I hope you enjoy it as much as I did! And sorry for the poor pics, I could not combat the glare from the glass.